For the 2015 season, the staff will not cost much more money than this campaign, with the highest monies going to Kazmir ($13 MIL) the Bullpen doesn’t make much money, while only losing Gregerson, and most of the SP are on entry-level deals or 1st year Arbitration. The A’s payroll is slated to be right around $80 MIL in 2015 (down about $10 MIL from 2014), and the club should still be competitive, and if not, they have plenty of assets to trade near the deadline and reload for another run of success. MoneyBall 1..MoneyBall 2… So we all have seen the movie or at least read the book – or heard about somebody referencing it all the time on the Baseball airwaves. Beane does it a different way, and he keeps the rest of the landscape second guessing. This website has been one of the frontrunners of dissecting his moves over the last few years, and have accurately predicted a lot of what would happen with the terms of the club. As much as the MLB Reports has loved the movements the team has done, we have not picked them to advance in the postseason in any prognostications, but we have continuously marveled on how the GM keeps wheeling and dealing. Chuck Booth likened him to a “Baseball Rounder”, using a nice analogy from the world of poker. 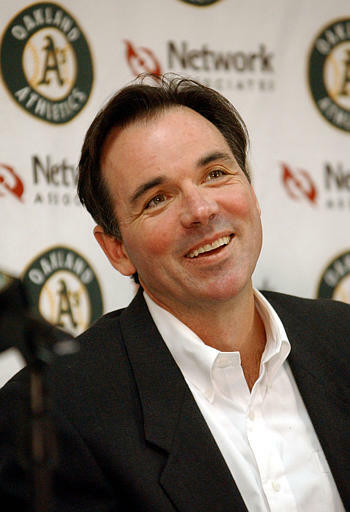 The A’s GM is the best at creating value to his team but exercising all of the freebies in the league, coupled with knowing how to maneuver when the time is right. Trading Josh Donaldson may come back to haunt him, but he did receive a plethora of young talented throwers, and perhaps Brett Lawrie will emerge into his talent after all. Being a “Baseball Rounder” is being the smartest guy in the room, and knowing your opponents moves before even they do.